Sleeps up to 56 in 33 bedrooms with 15 bathrooms. The main house sleeps 22. Weekends from £3,595 to £4,995, full weeks from £4,795 to £6,995. For shorter stays please enquire. 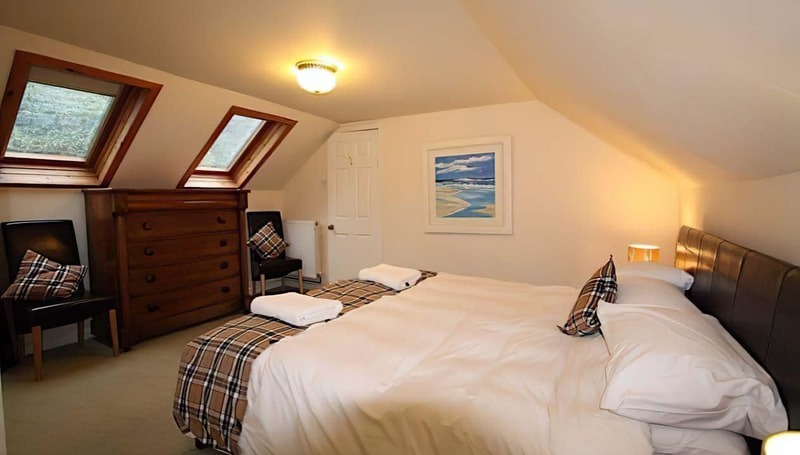 If fully occupied, price per person per night is usually between £12 and £30. A stunning private, historic, 23 acre estate, in gorgeous scenery - the very best of Scottish weddings Seats up to 90 indoors and the total venue capacity is 200. Ormidale House and Estate is a very special place to stay. Built on the Cowal’s peninsula,about a mile above the head of Loch Riddon, Ormidale enjoys gorgeous views down the glen to the river Ruel. The accommodation comprises four properties; Ormidale House, The Mill House, The Old Barn and the Garden Cottage. All are close to each other on the estate and all are self-contained, so can be booked as individual properties. The three main properties share the swimming pool. 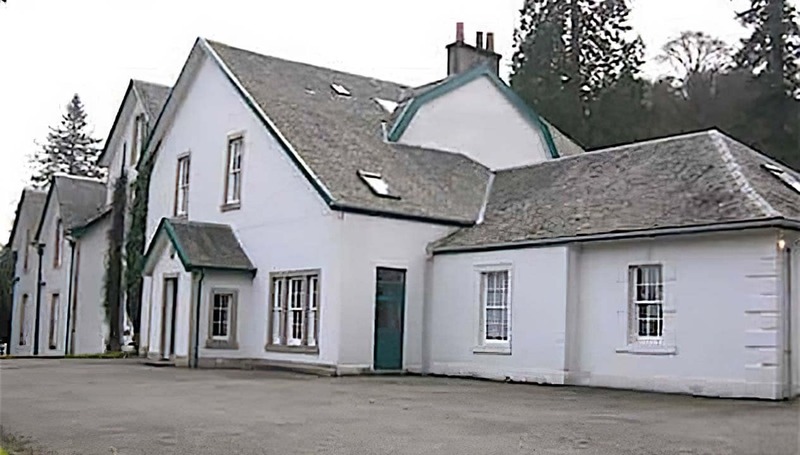 Ormidale House was built as a seat of Clan Campbell in 1696, with the most recent extensions by Robert Lorimer in 1910. Working with Lorimer was the renowned Victorian landscaper, Sir Thomas Mawson – his work can still be seen on the estate today. The House is large, sleeping 24 adults (plus 7 children), in 13 bedrooms with 8 bathrooms. 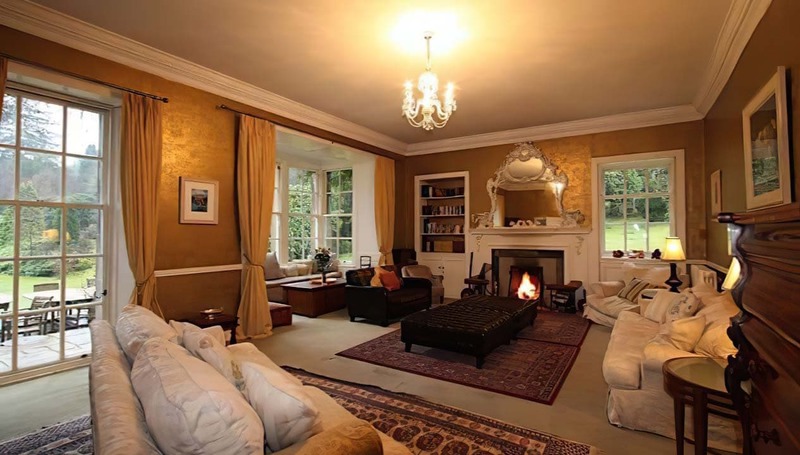 Downstairs, the reception rooms are equally generous, and include a huge dining room, snooker room and drawing room. The house also has its own sauna and hot tub. During the late 1800’s, the Mill House housed a hydro-powered forestry mill, which serviced the local Scots pine industry. The building was restored and converted in 2006 by the owner, John, and now sleeps up to 16 (plus 8 children). The Mill is very open and spacious, with high-vaulted ceilings and a giant glass arch onto the courtyard. There are9 bedrooms and 3 bathrooms, huge open-plan living room, and sauna and hot tub. The Old Barn was actually once stables, byre, and groomsman’s cottage, originally designed by Robert Lorimer when he overhauled the main house in 1910. Ormidale’s owner, John, recently converted the buildings into one comfortable barn, with under-floor heating and cosy rooms. 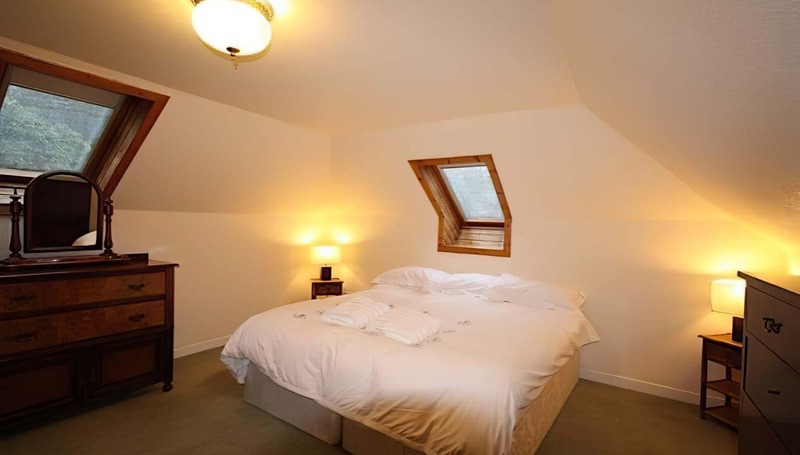 The barn sleeps 12 (+4 children), in7 bedrooms with 3 bathrooms. 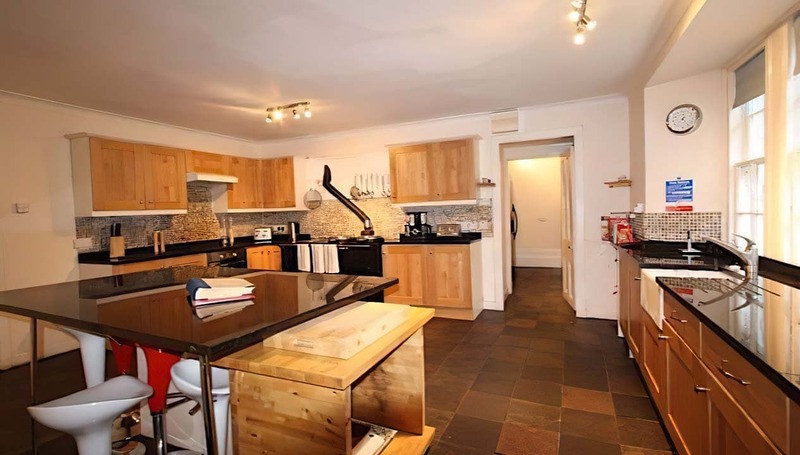 Downstairs is a large living room, dining room and kitchen, with, of course… hot tub and sauna. 2 bedrooms and two bunk rooms, shower-room and kitchenette, all on an accessible ground floor, for up to 9 additional guests. The properties sit in an estate of 22 acres, above the Kyles of Bute on the Cowal Peninsula (1.5 hrs from Glasgow airport). 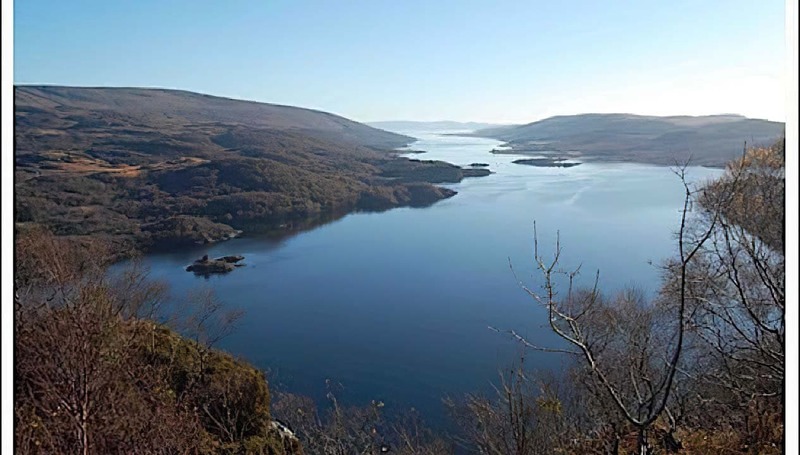 There’s a huge amount to do, both on and off the estate; swimming, walking, cycling, hill-walking, golf, sailing (atTighnabruaich or Holy Loch), canoeing, caving, archery, quad biking or paint-balling. Or should that exhaust you, a gentle boat trip to the Isle of Bute might help! The country sport in the area is fabulous; the fishing is particularly impressive. There is also grouse or pheasant shooting, or stalking. The Ormidale Estate is a great place for holidays with family or friends. It also suits special celebrations, weddings, reunions, or corporate and business use. Ormidale offers various packages – including Luxury Bootcamp, the ‘Drawing Room’ club, ‘Feast of Scotland’ cookery and country sports. Guide pricing is for the main house only. A group of 35 of us stayed in this house for a long weekend, ages ranging from infants to 60's. It was absolutely amazing, the house is spectacular in every way. There are plenty of bedrooms for everyone to sleep in and the beds are comfiest I have ever slept in. The downstairs area is great with a large piano and dining room large enough for everyone to sit. The catering facilities are fantastic and cooking for a group this size was made much easier due to this. There is a kids snug and a games room which was great for keeping the kids out your hair for a while. The hot tub was fantastic and the sauna was also great. The kids loved the pool although it was a bit cold. The grounds are lovely and there are places to visit within a driving distance although we didn't get great weather to do much venturing. There is plenty in the house to keep everyone entertained. Pam and Norman the on site caretakers were lovely and were on hand when we needed them. We were slightly worried about the amount for the security deposit but when we seen the house we understood the need for this and it was quickly refunded after our stay. I would highly recommend this property for any large group - I cannot explain how great this property is. Pictures do not do it justice it is just so grand! We will definately be back at some point. Just back home after our 10th year visiting Ormidale House and it was fab, fab, fab as usual!!! We were greeted by Pamela and her hubby, the housekeepers on arrival who attended to our every need throughout our stay - and with a group of 23 women that was no mean feat! The house was spotless and caters for exactly what we always look for - comfort with a bit of grandeur! 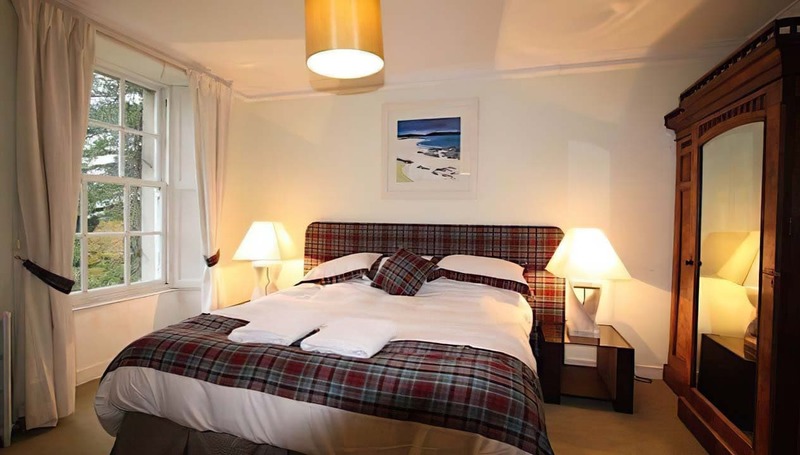 The bedrooms are well presented and the beds are extremely comfortable with the most luxurious bedding. We entertain (perform!) in the drawing room with ‘Ormidale’s Got Talent’, Lip Sync, quizzes and laze about in the TV room to watch our favourite movie. However, our most favourite place in the house is the kitchen as we just love sitting around the kitchen island for a good old blether! Depending on the good old Scottish weather we explore outside but this year we spent a lot of time on the grounds with Ormidale’s ‘It’s a knockout’. Given the age difference in our group goes from 13 to 73, this was a challenge with a few serious competitors amongst us but the hot tub eased away a few aching pains afterwards! Although we are just back today from Ormidale 2018, we are already planning for Ormidale 2019 and can’t wait for our next visit! 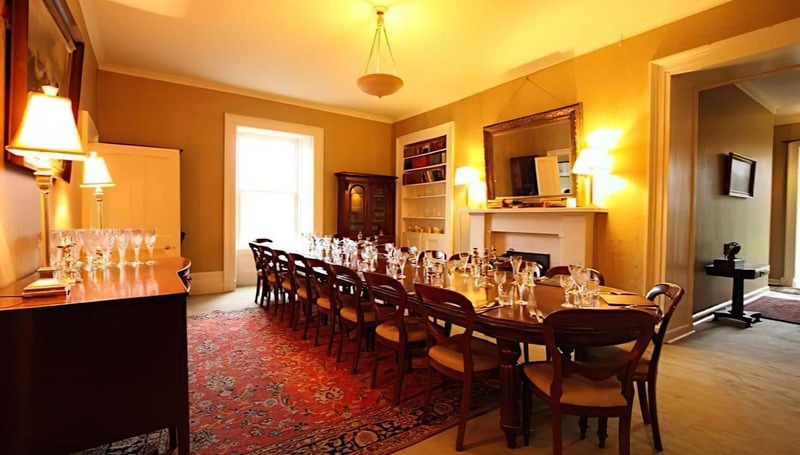 Ormidale House is a country house of great character, in a magnificent rural setting, which proved an excellent choice for our family reunion, bringing together cousins from various parts of Britain and North America. There is lovely country to explore, by car or on foot, with several good eating places within an easy drive. The frozen food available from the on site caterers was excellent. The amenities were good, with barbecue, hot tub, swimming pool, a rather rough tennis court, football field, lawns, trampoline, games room, even if some attention to detail was required in places. The house was clean, well appointed, if in need of a lick of paint here and there, and the supply of hot water was a little variable at times. However any minor problems encountered were promptly dealt with by the staff on hand. We stayed at this house for a week to celebrate my uncle & aunt's wedding. There were many of us (around 20) and it was plenty spacious with different rooms for all sorts of entertaining (games room and the dining area were use most by us and the fire in the games room made it super cosy). The house was tidy and organised so we were able to access everything we needed to (kitchen was really well equipped with lots of stuff and cooking facilities too). Overall for a large group looking for a secluded beauty with amazing views, super kind and helpful owner and staff I'd 100% recommend Ormidale! Lovely walks, cycle rides and places to visit. Or you can just relax in hot tub or swim in pool, play snooker, read etc. We found Ormidale house exactly as described and it suited us well. Amazing property, beautiful location and in excellent condition. A pretty perfect trip - couldn’t have asked for better service! Having booked Ormidale House for my 40th birthday and invited a group of friends to join me I was not disappointed by the beautiful house and grounds. It was a joy to explore the many rooms and facilities before the majority of the guests had arrived. 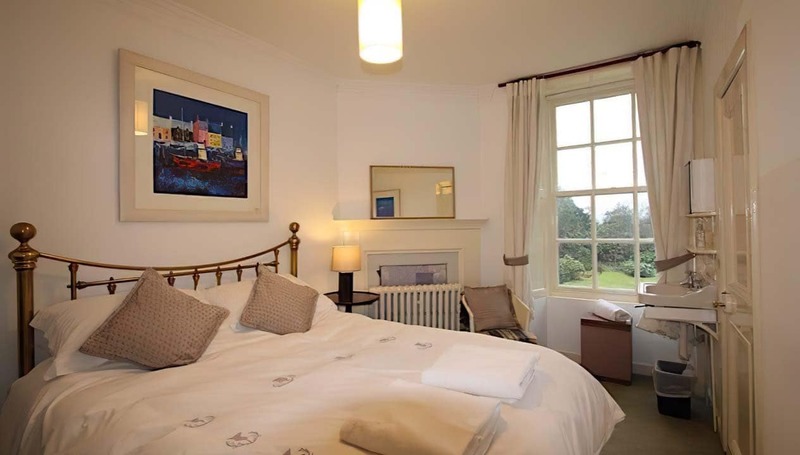 The room we had chosen was beautifully decorated and in style with the house. 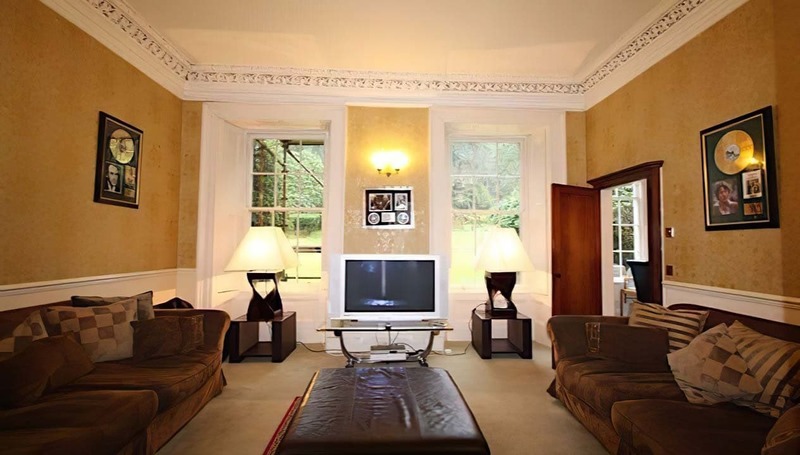 The house has a great way of keeping the younger members of the party close but in a separate room fully entertained in either the games room, tv room or in the gardens. The whole party were able to enjoy the fabulous local ceilidh band in the huge drawing room on our first night after sitting outside midge free in 3 degrees for a fun BBQ on the terrace. The drawing room is very adaptable and easily accommodates all of the house guests in it, perfect for a strip the willow too. On our final night we had a belly dancer who easily used this room to shimmy her stuff and get the eager guests up to participate in a workshop. The dining room and kitchen are well organised for large parties of guests, although our catering wasn't perfect it was a delight for me to avoid washing up for three days. The hot tub was an excellent way to recover from ceilidhing and the pool although slightly cool was a great place for the kids to enjoy and burn off their energy. The football pitch allowed us to have an inter-house match with some other guests and kept our lads and dads busy in any entertainment gaps. We had a fabulous Easter egg hunt in the extensive grounds which I can recommend for any Easter parties. The beds were very comfortable and clearly this had been invested in by the owners, the showers might be a good place to invest next as they were cold in some of the bathrooms. This has been mentioned before but i do feel especially for older guests that it could be the one down-side to the property. I would certainly book the house again. Spent a couple of days at Ormidale House. Food was amazing. The staff were really friendly and went out of their way to be helpful and were really knowledgeable about the area. Cannot wait to go back. Immaculate accommodation. Cannot recommend highly enough. One of the best weekends ever for my 50th birthday at Ormidale House thanks to relaxed accommodation and fantastic support from the Estate team and All-on-Us Catering. 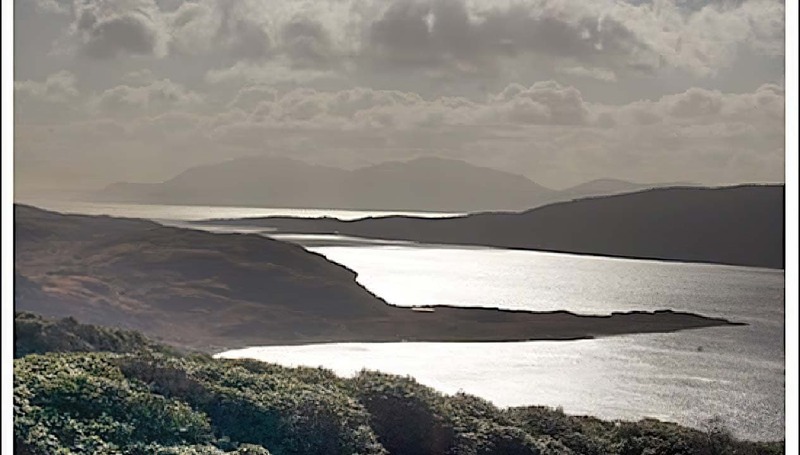 The location is in a particularly scenic and quiet corner of Argyll but with ready access to explore the local surroundings. The house offers very flexible accommodation which is particularly good for large parties but it caters for all ages in such a great way. 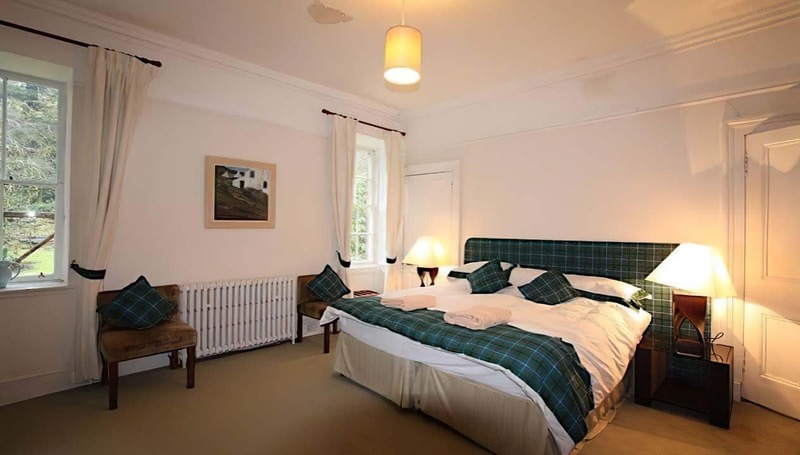 Incredible value for money and I would have no hesitations in recommending Ormidale for a Scottish getaway where you need lots of space in a cosy and relaxed setting. We spent a week at Ormidale house as part of a family group of 27 in August 2017. This is the eleventh year that we have been away as a family group and have generally stayed in large houses like Ormidale . Ormidale was one of the more expensive properties we have stayed in. 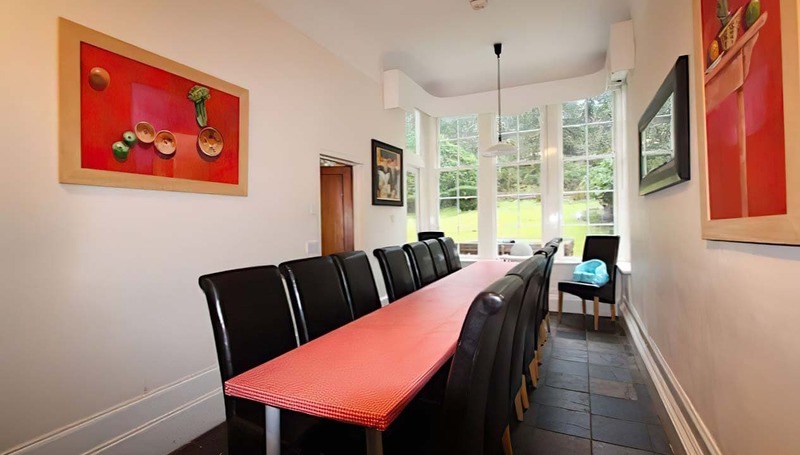 Positives The surrounding countryside is truly stunning with beautiful lochs and hills The house is large and spacious The house is well equipped. The gardens are also large and provide space for the children to run around There is an onsite swimming pool and games room. Negatives Whilst the website claims it is a "stunning , luxurious house" I'm afraid it isn't and in fact in the predeparture information supplied by the owner he admits it is "work in progress" . Some of the bathrooms are in serious need of updating and some of the decoration ( the front entrance hall for example) needs urgent attention. At the time of the visit we were unable to drink the water from the taps as it had been deemed unsafe ( a large supply of bottled water was provided free ) - this is not really something you would expect when staying in a luxurious property. The tennis court is in a very poor state of repair and the games room is also very poorly maintained . The swimming pool is also looking very tired and in need of updating. The nearest village with a small supermarket is a seven mile drive away ( as is the nearest pub) and the nearest town with a reasonable sized supermarket is 15 miles away along single track roads with passing places so it is in a very remote location. We paid extra to have a hot tub which the children enjoyed using but unfortunately two of them developed hot tub folliculitis which is caused by a bacteria in the hot tub. We did raise this with the onsite managers but they didn't seem overly concerned. Despite all of the above we had a good time at Ormidale and I am sure others will although if you are expecting a "luxurious" house and facilities it might not quite come up to expectations and compared to other houses we have stayed in it wasn't as good value for money. A large group of friends and I stayed in the house for two nights in January 2017 for a friends 21st birthday. The house was very spacious and the hot tub facilities went down a treat for us all! However, our overall experience has since been far more negative than we ever could imagine and I would advise that anybody considering this house steers clear. Upon arrival, there was no staff member in sight and no information on how to get the keys. After around 15 minutes outside in the cold while some members went to look for a member of staff, we tried the door to find it was unlocked and the keys were sitting on the dining table. That meant there could have been anybody in the house at the time we arrived. While I didn't use the pool facilities myself, several of my friends did and unfortunately returned only thirty minutes later complaining the pool was freezing cold, before they got into the hot tub. This was afternoon time on our second day and was the only time any of us entered the pool area. While they were there, countless photos and videos were taken of each other and in some show clear rotting of the tiles around the shower area. We have clear time stamps on these photos and videos. Since returning, the birthday girl has received countless nasty emails from the owner of the house, John, in which he accuses us of causing £2000 worth of damage to the tiles in the shower area on our first night (even although not one member of my group entered the area until the next afternoon, as previously stated). He has referred to us as 'drunken species of fools' and accused us of lying, stating his staff members heard us banging on the wall in the pool area on the first night. The same staff members who we tried to find NUMEROUS times throughout our stay and were nowhere to be seen. We are 100% confident that nobody was on site for the duration of our stay. John refuses to provide evidence for his accusations and we have since sought legal action against him as he point blank refuses to return the safety deposit to us. Furthermore, our group leader has been contacted by others who have had similar experiences with John. I would urge everybody to look elsewhere for bookings as what was a fantastic few days away with friends for us has been overshadowed by a legal battle with a landlord who has no respect for other people. We are a group of friends who have been meeting every year for 20 years. We had a lovely weekend at Ormidale .We had mixed weather so enjoyed a glass of wine on the terrace one evening and the next day relaxing by a roaring fire in the sitting room. I would highly recommend this property it is definitely up there as one of the best we have stayed at. Staff were great and very helpful. This secluded historic house was perfect for our wedding . The grounds are beautiful, the house itself just wonderful.Our guests were accommodated in the main house and loved their bedrooms which were large and very comfortable. Our family stayed in the mill house ,which is modern and open plan on the ground floor with cosy and comfortable bedrooms upstairs . There was plenty of room for every one . The owner was hugely helpful and a pleasure to deal with .Thank you John for answering all of our questions and being so obliging .Our caterers were Marc and David from Allonuscatering.They and their team were top class .Their food was fabulous and they could not have been more helpful. All in all an unforgettable stay in a truly magical setting. A wonderful place to holiday with kids. There was so much to do on site! Games in the house, a jumping castle and a trampoline, walking through the woods - within the estate! 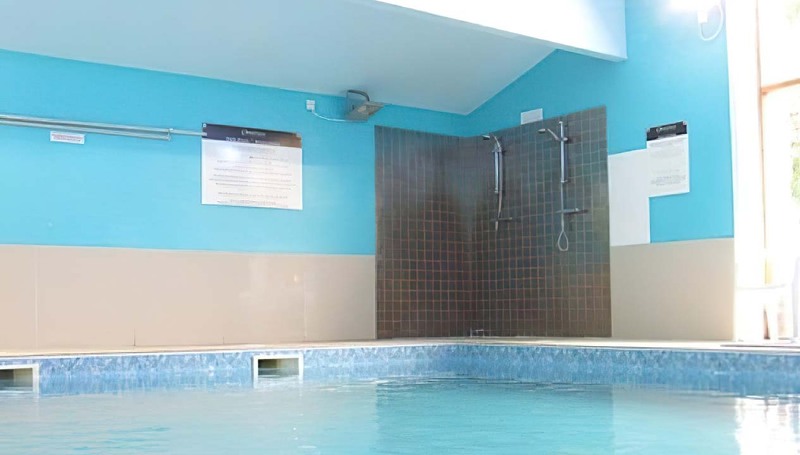 - Plus soft play in the leisure centre in the town nearby (Dunoon? ), and archery for the bigger kids. There was plenty to do, and I would have loved to explore the nearby beaches. Beautiful scenery too. Really enjoyed. We had a wonderful time in this very comfortable & well equipped house. Plenty of space lots to do for adults & children of all ages! Luxurious beds, linens & plentiful towels. Somewhat erratic showers - but manageable! Wonderful grounds & a scenic area. Would love to come this way again. Ormidale House, Glendaruel, Argyll PA22 3AF I left Edinburgh at 09:30 and headed off to Ormidale. Geographically it's next door to Glasgow, in all other aspects it's a million miles away. The route to get there took me via Loch Lomond and Loch Fyne and it's a stunning drive, uncrowded in November and even in the rain did not detract from the area's beauty. Many hours later I drove through the gateposts of Ormidale House. There were guests staying but fortunately (by prior arrangement) they were happy let me have a quick look round. Despite the house looking less 'majestic' than some of the others on this site, it is in no way indicative of the interior and is far more substantial than most houses in the area. 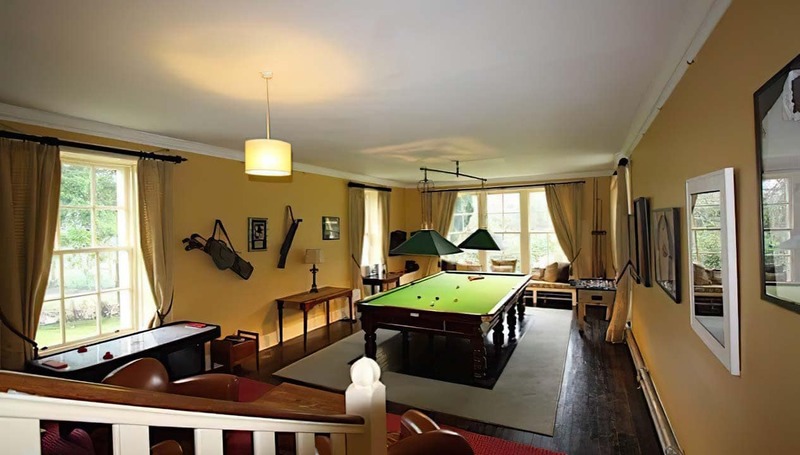 Inside it was warm and welcoming - it has a large kitchen with aga, a vast basement drying room, dining room for 25+, two sitting rooms, one big drawing room, games room with billiards, sauna and multiple large televisions. 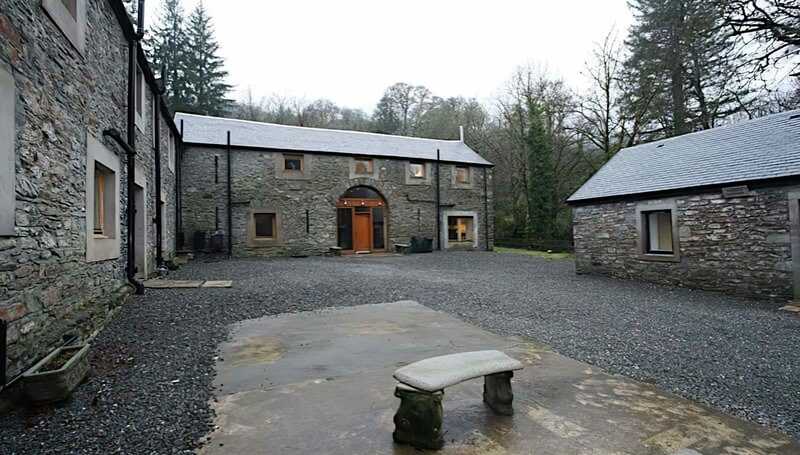 There is also an indoor swimming pool that is shared with The Mill and The Old Barn - two separate but nonetheless nearby properties. The bedrooms themselves were decent, spacious and with good views. One was slightly colder but I say this out of making the review impartial rather than because it was freezing or a big issue. One bedroom had two sets of bunk beds, the rest were all twins or doubles. For those bringing a helper there is a bedroom with direct access to the kitchen. The bathrooms were clean and some a little 'dated' - not a problem for anyone but the most demanding and they are due to be re-fitted over the coming weeks. 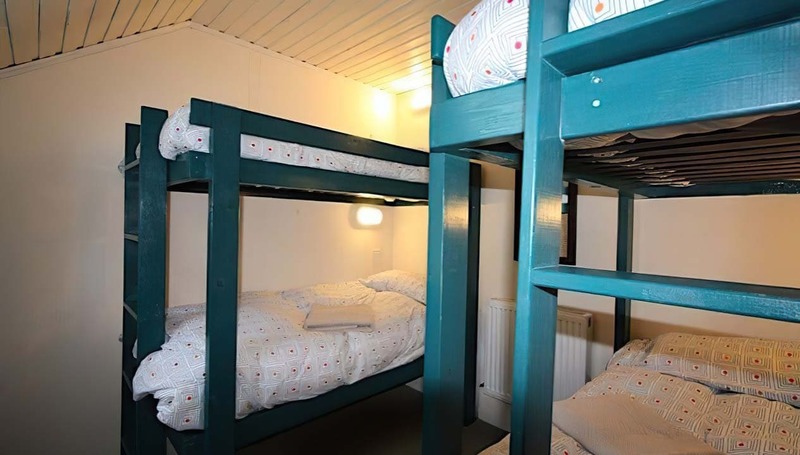 For reference from the house's website; Two rooms are set up as twins, three as king-size doubles, and one as a quadruple bunk room. The other seven bedrooms can be set up either as super-kingsize doubles, as twins, or even sometimes as triples. 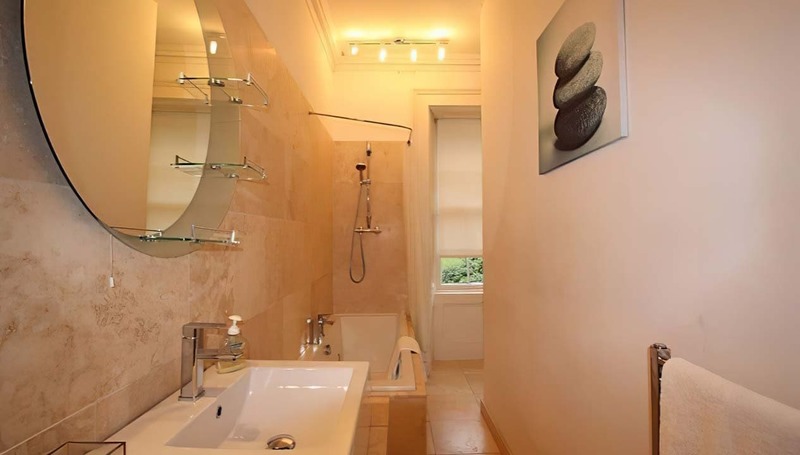 All bar two of the bedrooms have either an ensuite bathroom or a basin. There are four further bathrooms, two separate loos, and a sauna. Altogether, the house has nine showers and ten WCs. Floorplan. The two nearby houses, The Mill and The Old Barn are not as substantial but would provide useful overflow accommodation. 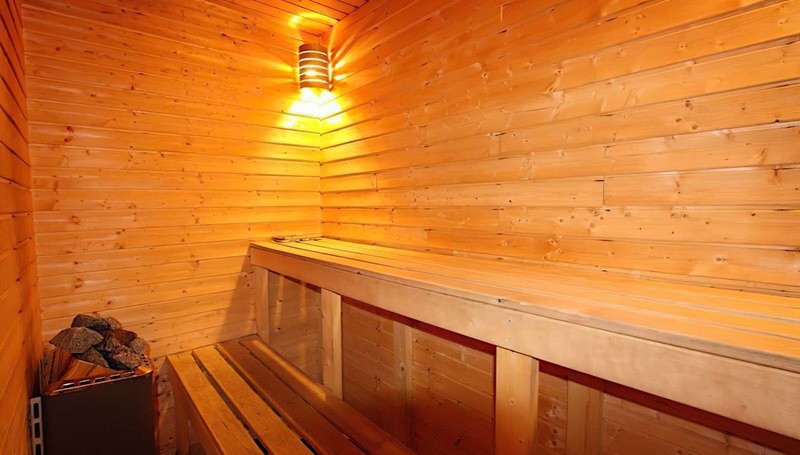 Both have been recently decorated to a high standard (no expense spared, including underfloor heating) and feature the same saunas and multiple TVs that Ormidale House has. As a rule of thumb The Mill has smaller bedrooms and is more tightly packed than either The Old Barn or Ormidale House - but is still comfortable and has a large open plan area downstairs with plenty of seating. The Mill and Old Barn share car parking and a wall, Ormidale House can be considered largely as separate from the others but still shares some garden and the pool. 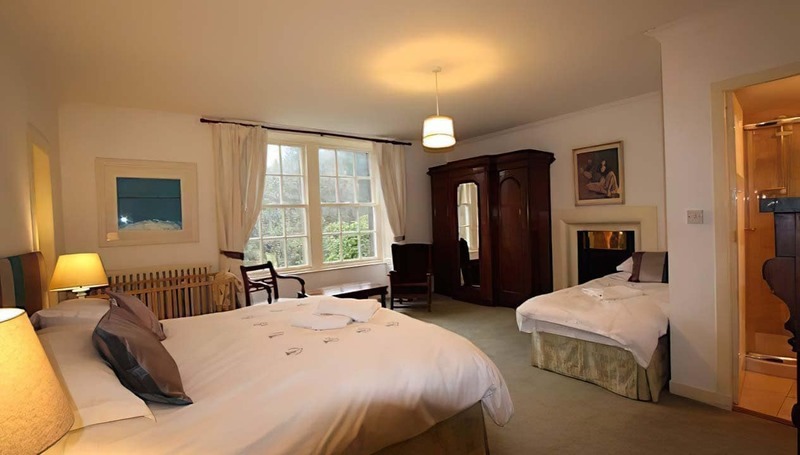 All in all I think Ormidale House predominately suits walkers and golfers and would provide a very comfortable base from which to explore the area. When the rains come (as they inevitably will!) the pool, billiards, sauna and TVs should come in useful. A solid bet.